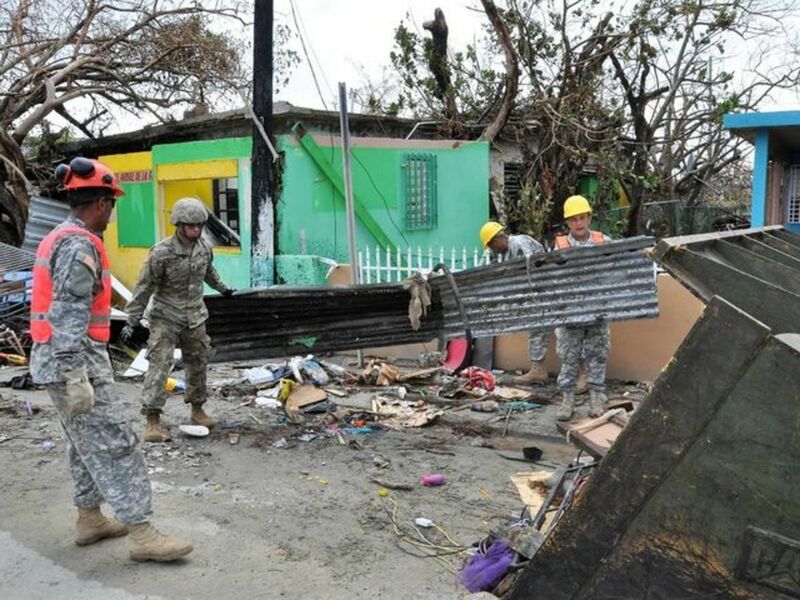 The greatest tragedy exacted by hurricanes Harvey, Irma, and Maria, which hammered Texas, the Southeastern United States and the Caribbean in August and September, was the number of people who lost their lives — at latest count at 77 due to Harvey, 132 stemming from Irma and 48 so far in Puerto Rico related to Maria. And in the aftermath, survivors have been hit with a financial wallop. 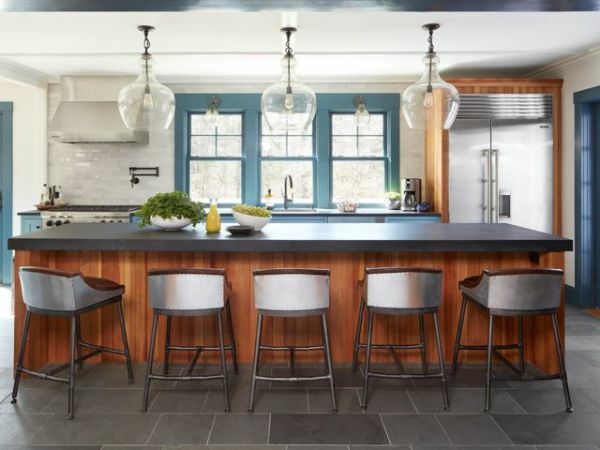 As part of its latest Houzz Renovation Barometer report, Houzz asked a panel of renovation industry firms about the financial effect of these disasters. 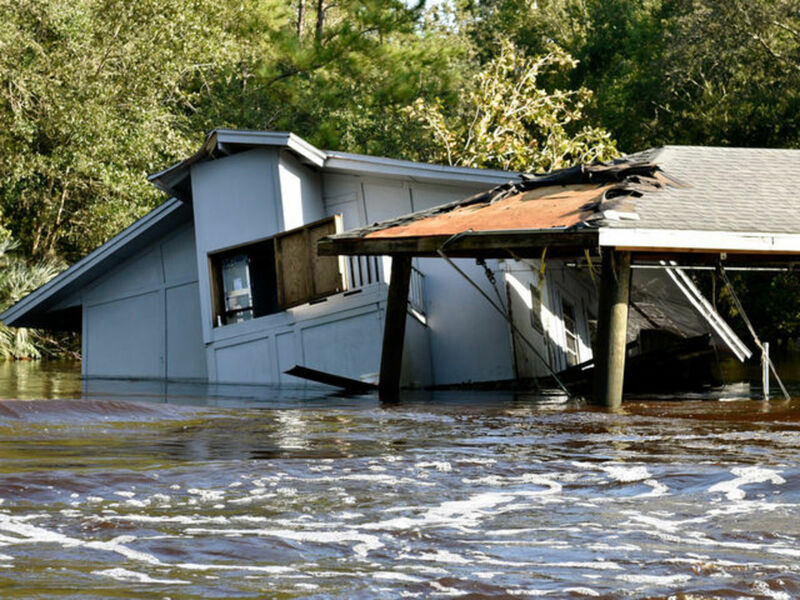 While homeowners are facing significant financial impact, businesses, too, are feeling the storm’s financial effects — from a shortage of available workers to project delays. Nonetheless, firms expect a rebound as rebuilding commences. Here’s what we know at this time. 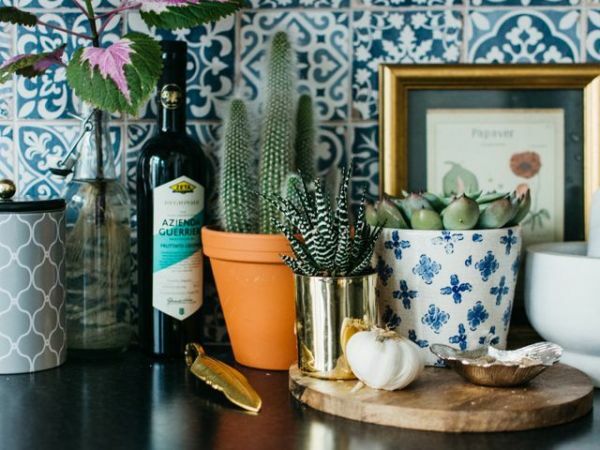 The Houzz Renovation Barometer survey was fielded September 28 to October 12, 2017, and responses were received from 2,241 professionals. 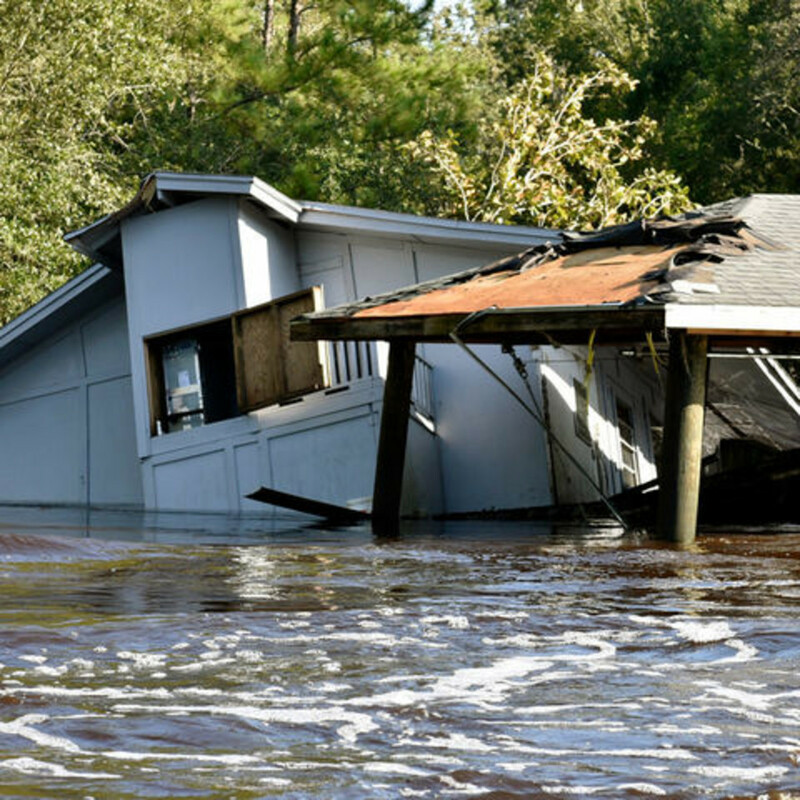 Companies in the Houston area estimated the average cost to homeowners to fix damage from Harvey at $111,000 per household, the survey found. 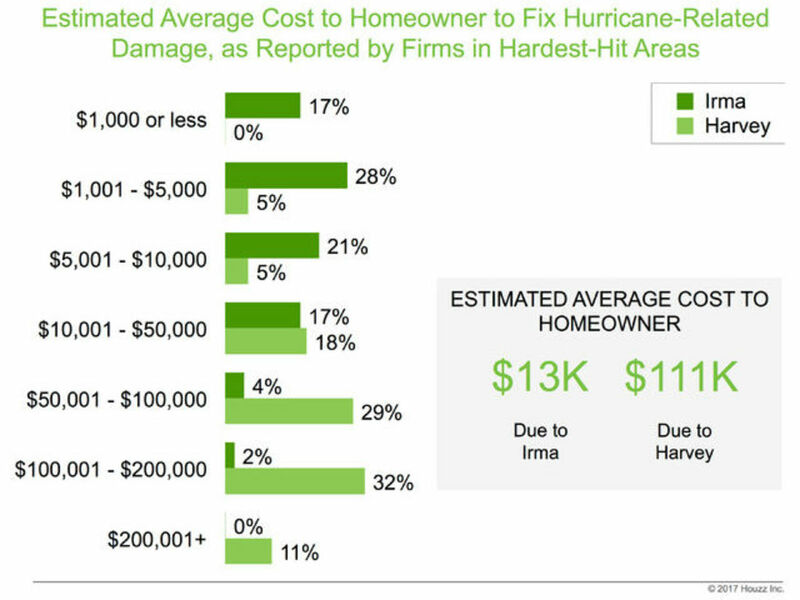 One in 10 companies in the Houston area is estimating the total repair and/or renovation costs due to Harvey to be greater than an average of $200,000 per household. 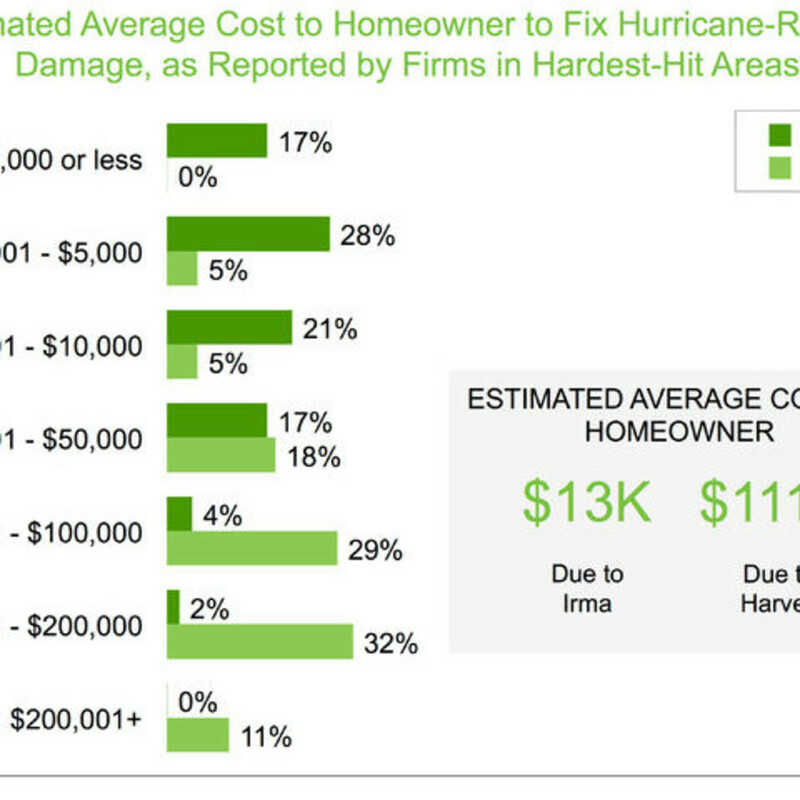 For Irma, renovation companies on the Southwestern Florida costal mainland, where the flooding was less severe, estimated the average cost to homeowners to fix damage at $13,000, the survey found. The professionals on our panel who provided these numbers have businesses in the Houston-Sugar Land-Baytown, Texas, metro area for Harvey; and for Irma the Cape Coral-Fort Myers, Sarasota-Bradenton-Venice, Tampa-St. Petersburg-Clearwater, Naples-Marco Island, and Punta Gorda, Florida, metro areas. Our panel did not include renovation professionals with offices located in Key West, but businesses in other metro areas on the Florida coast may have served the island. 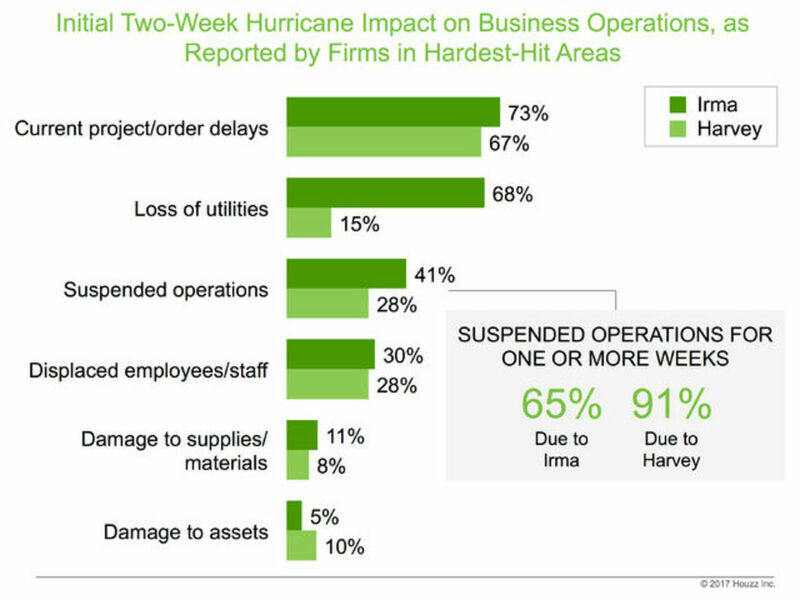 Over the short term, hurricanes hurt renovation-related businesses, specifically in the first two weeks after these storms made landfall. 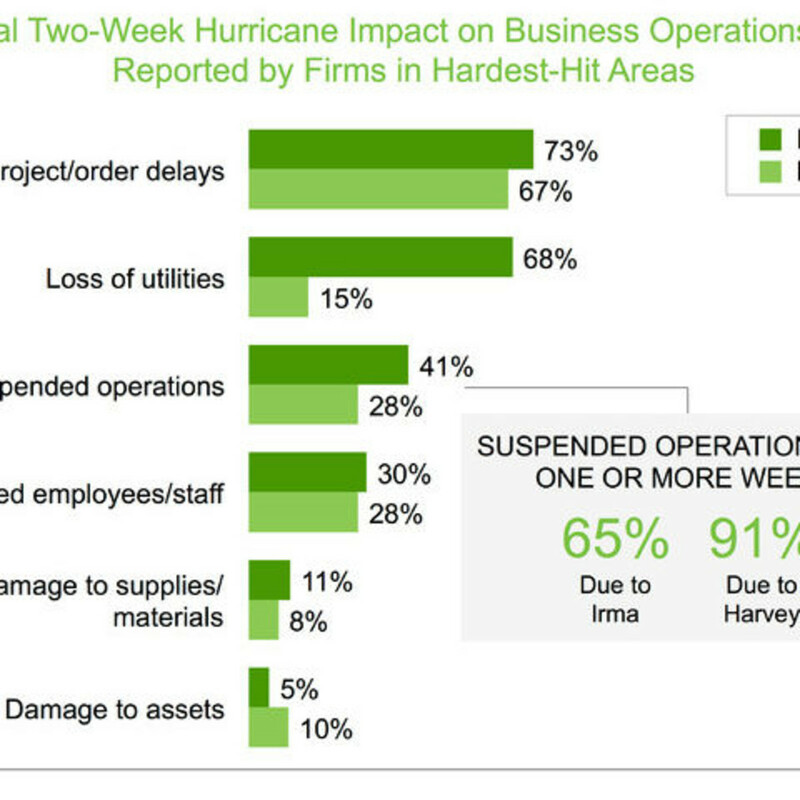 Forty-one percent of businesses in Irma-affected areas suspended operations during this period, while 28 percent of those in Harvey-affected areas did so. More firms hit by Harvey (91 percent) closed shop for one or more weeks compared to Irma (65 percent). The survey went out just one week after Maria made landfall in Puerto Rico, and the number of responses from that U.S. territory were limited. But the numbers we do know help tell the story. Nearly a month after the storm hit, the majority of the island still doesn’t have power. A reported one-third of the population still lacks access to clean drinking water. More than 100 people remain missing, and the death count is expected to rise. 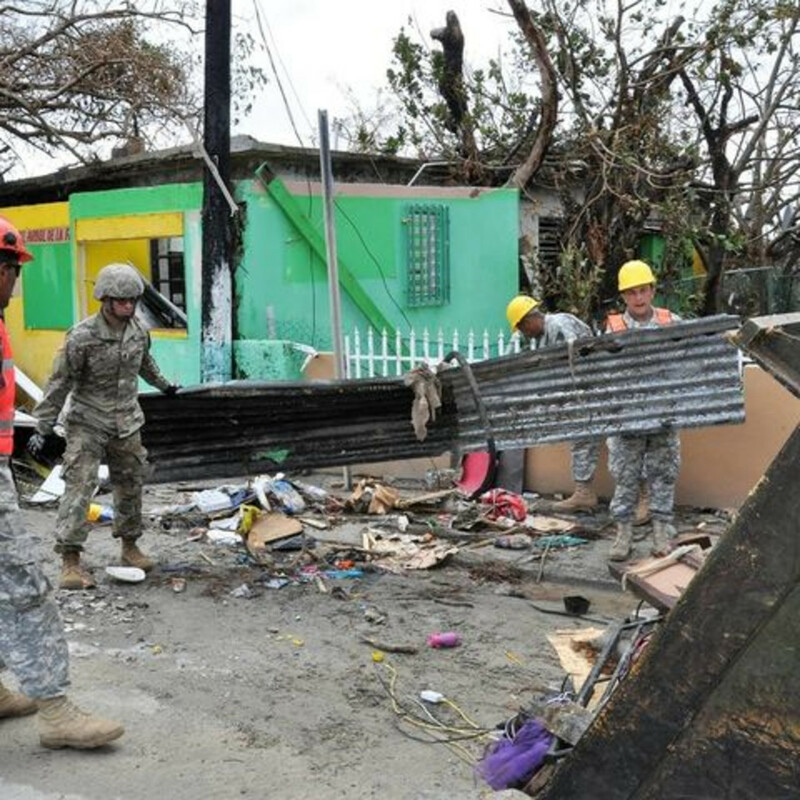 Moody’s Analytics estimates the island has sustained damage of some $45 to $95 billion. To put those figures into perspective, consider that the island’s annual economic output is $103.1 billion. 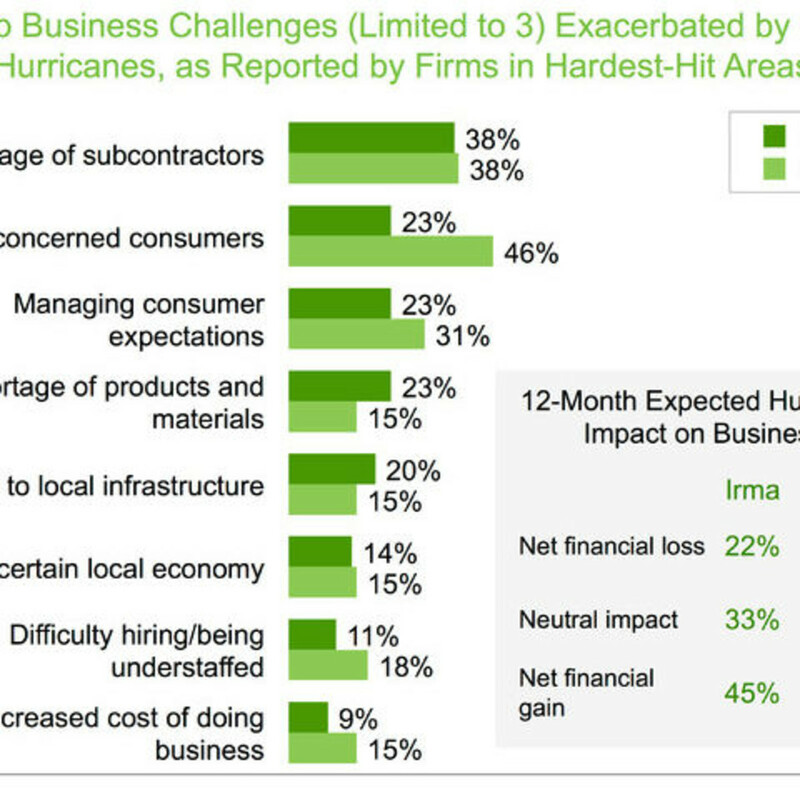 Businesses face challenges but anticipate recovery. 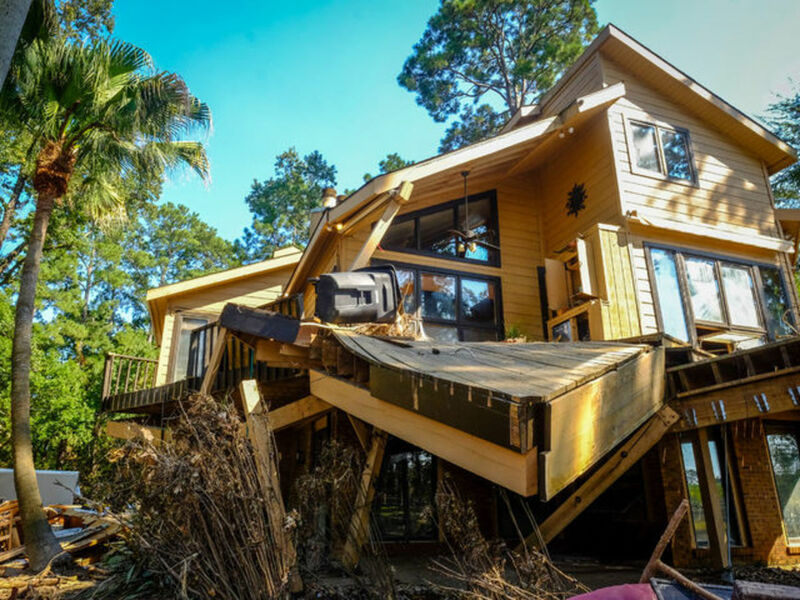 Like the homeowners affected by the natural disasters, businesses expect some financial fallout from these storms, but a majority expect to recover within one year. 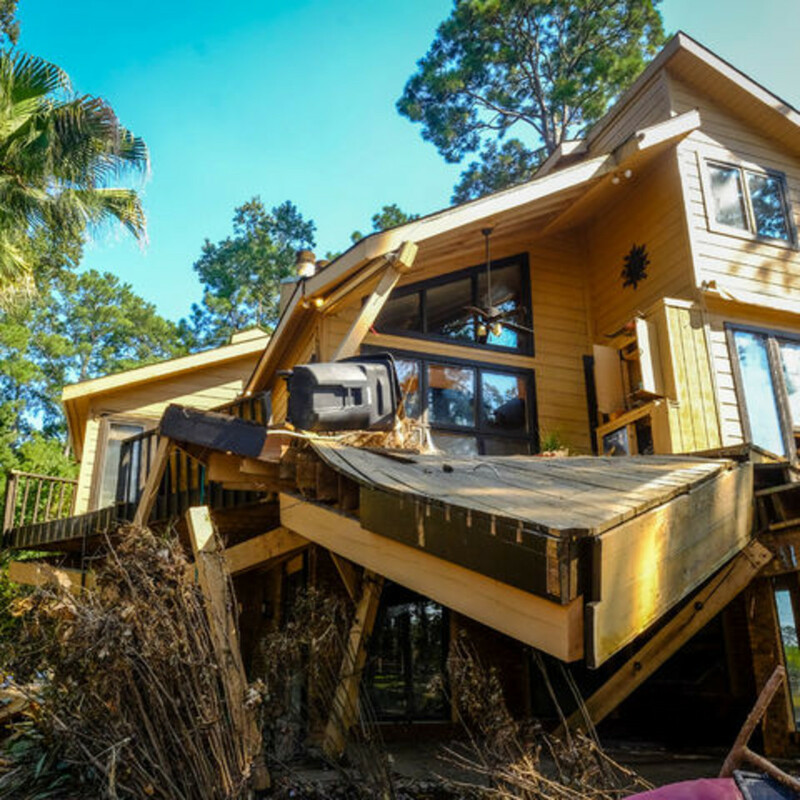 One of the effects of natural disasters on the renovation industry is that many of them will see their businesses boom once people are ready to rebuild. 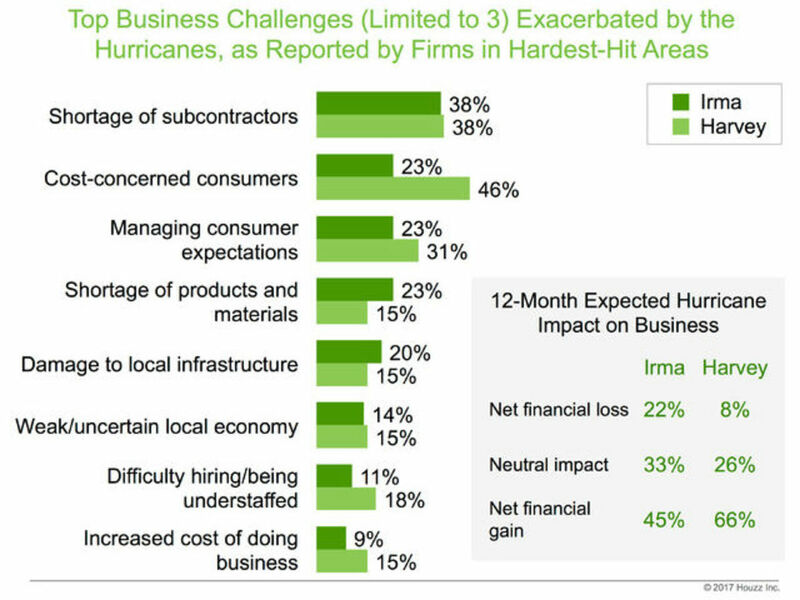 At the same time, the hurricanes worsened labor shortages across the region and increased project backlogs by about two weeks, the survey found. Your turn: Do you have friends or family in affected areas? How are your loved ones doing? 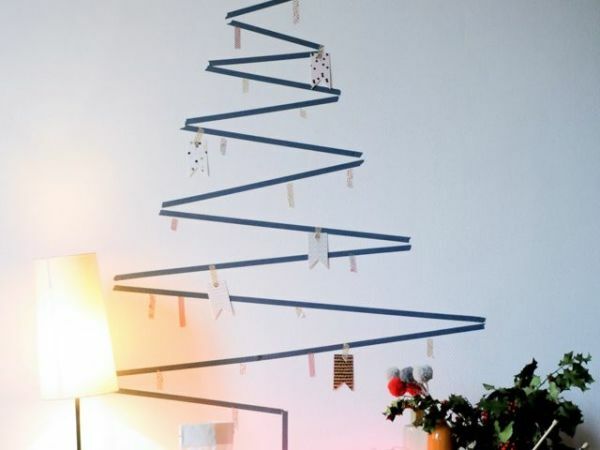 Please share your photos and stories in the Comments.